Do you currently use Customer Loyalty software? The customer loyalty market is changing, both in form and in function. When one considers customer loyalty, chances are high that a loyalty card springs to mind. Further, it’s likely that a points-based system in which customers accrue credit for each purchase is also associated with loyalty. In such a system, customers can receive credit in an actual store or through online purchases. This credit acts as a secondary type of currency that can be redeemed for rewards, usually after a certain threshold has been reached. While both the physical loyalty card and point-system are still very successful tactics, a different type of loyalty market is emerging. This market responds to the new type of interaction happening between brands and consumers. Because of the constant connectivity of the internet, the majority of interactions consumers have with an organization will not result in a purchase. That means the best customer loyalty programs now have to extend past simply sales. For instance, a visitor who frequents a website to consume content may not be far enough down the sales funnel to make a purchase, meaning incentivizing that type of action would be a waste of resources. However, rewarding their consistent readership with an offer to download exclusive content, or with recognition via social media are both methods for keeping them engaged. This type of interaction turns the concept of purchase-based loyalty on its head, and changes the way businesses think about their customer relationships. In the Information Age, the buying process is more complex, and raising retention rates post purchase often requires more than sending coupons to past customers. Loyalty happens across a range of actions, often centered on the consumption of content. This type of interaction is a response to consumer expectations, but it typically requires integrating a software platform dedicated to rewarding customers. This guide details the features of customer loyalty software, examines how businesses can measure ROI, and discusses the continued use of purchase-based loyalty programs. Which Customer Loyalty software is right for your business? To properly reward non-purchase behavior, businesses will need to structure rewards that create user loyalty. These type of rewards can vary from access to unique or limited-time content, to gamification elements such as special statuses or badge icons. Robust** loyalty program software** will also allow businesses to customize their rewards based on the context of the interaction as well as the type of loyalty behavior the business is trying to promote. The best customer loyalty programs should make distributing rewards intuitive for business users, making oversight of the rewards program simple and straightforward. In the context of loyalty, game elements are excellent tools for driving users to engage in specific behavior. 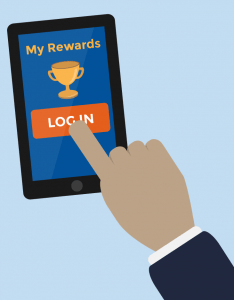 Consequently it’s common to see the use of gamification in loyalty programs. 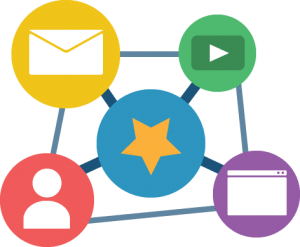 By structuring loyalty campaigns into levels or tiers, and by rewarding users for engagement, organizations can create an incremental experience that develops a sense of progress in users, thereby increasing their motivation to participate. Time specific campaigns such as contests also fall into this feature category, with certain software allowing intuitive customization of limited-time loyalty events. While many of the new innovations in customer loyalty software are being driven by online interactions, leading programs offer businesses omni-channel capabilities. This means customer will be able to access loyalty rewards and features through three main channels: online, mobile, and in-store. Omni-channel functionality is important because even though customer expectations have increased for online interactions, they have not lessened their in-store expectations. Omni-channel is also known as a seamless experience. Such a program connects customers to loyalty rewards across mobile devices, stores, and computers. Given the meteoric rise of smartphone usage among consumers, more and more brand interactions take place there. For example, if one of your customers receives coupons in his email, an omni-channel experience would allow this customer to simply open said email from his smartphone and scan the coupon in-store. Of course, mobile access may not be relevant for programs that feature a physical card, though it’s becoming more common for card-based programs like Pirq to take the form of a digital app that customers also scan through their phone. For organizations that implement loyalty functionality on their site, it’s important to consider how your new loyalty program software will integrate with your legacy systems. To function properly, the loyalty program software will need to include an API which integrates with content management systems like Wordpress. Otherwise, installation will require heavy support from the software vendor, which could delay the launch date and make future software changes difficult. It’s also important to consider social media integration, which makes it easier for customers to log in with their social profiles and for you to distribute rewards for targeted behavior through social channels. Email integration can also be important for distributing coupons and other rewards to your customers. Similarly, buyers should look for loyalty solutions that integrate with your customer relationship management system. With CRM integration, businesses will be better able to organize their customer information and track the behavior of each customer. 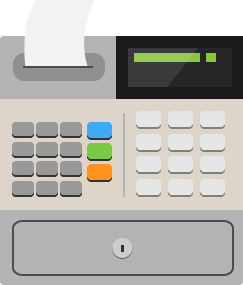 For brick and mortar businesses, it’s also critical to ensure that the solution integrates with point of sale systems. Certain card-based products like Belly may feature unique hardware that needs to be purchased for customers to scan the card, while others will allow scanning straight into the POS system. Advantages exist to both: the latter may be more user friendly for your employees and customers while the form can collect more detailed information about buying habits. Functionality that’s common to both card-based and web-based customer loyalty software, analytics features enable businesses to gain greater insight into the buying behavior of your customers – insight which you can then cross reference with demographic data to develop customer profiles and better target your marketing or loyalty efforts. The type of data you gather will vary depending on the type of platform you deploy. For example, web-based loyalty management software will capture data on how customers act when they’re on your site, when they mention your brand on social media, and when they make a purchase. Card-based systems gather a narrower set of data, e.g., mostly buying behavior and demographics, though vendors like Perkville can sometimes gather more robust data through their loyalty software. Measuring the effectiveness of loyalty has historically been limited to an incremental model, i.e., customers receive rewards or incentives and an organization waits to see who responds over a certain period of time. With the rise of analytics, it’s become easier for you to measure the return from your loyalty program software. Using an uplift model specifically, you’ll be able to track the effectiveness of your efforts. An uplift model creates a control group against which to test the returns of your loyalty incentives. The control group consists of customers who were not exposed to your customer loyalty program, which allows you to measure the impact of the independent variable – in this context your incentives and rewards – for comparison against the control. Certain top tier vendors include this in their software platform, but it’s also possible to build an uplift model yourself. Once you’ve let your model run for a couple of months, you can examine the data to analyze not only which rewards and incentives are most effective at spurring engagement, but also which tactics translate into the most significant return for your business. One of the market leaders in West Coast-style apparel, Pac Sun wanted to increase retention rates among their customer base. As the result of a successful digital strategy, Pac Sun had acquired a substantial database of customer information, but the California retailer wanted to ensure they capitalized on every opportunity to advance their relationship with their customers. So after vetting different loyalty software companies, Pac Sun settled on Seattle-based Big Door. After four months of fastidious preparation, Big Door launched a loyalty solution that integrated with both Pac Sun’s website and represented the brand’s well-crafted aesthetic. Big Door offers their clients an open API, so Pac Sun’s new loyalty functionality blended perfectly with the existing website features. Big Door also provided a series of custom reports to Pac Sun so their marketing team could identify the best customers and target them with premium offers. After implementing Big Door’s loyalty software, Pac Sun realized a tremendous 132 percent increase in on-site engagement and a 138 increase in registrations. Consequently, Pac Sun realized a 38 percent increase in revenue per customer. Pac Sun also continues to use the aforementioned uplift model developed by Big Door to measure customer response to loyalty marketing efforts.